CHICAGO, Nov. 8, 2018 /PRNewswire/ -- Global executive search firm Stanton Chase announced today that J. James O'Malley, a veteran search consultant, has been appointed Managing Director in the Chicago office. As Managing Director, O'Malley will serve as a senior member of the Professional Services and Financial Services practice groups for Stanton Chase. "I am thrilled to welcome Jim to our team in Chicago, he brings 30 years of executive leadership experience and a track record of exceeding his clients' expectations," said Bernie Layton, Managing Director and Global Practice Leader. O'Malley's new role centers around senior level searches for the Professional Services and Financial services practice groups in Chicago with a focus on ensuring leadership talent aligns with changing business needs across the groups. "It is with great enthusiasm that I join the Stanton Chase team," said O'Malley. "I look forward to bringing my experience and passion to help grow the Professional Services and Financial groups in Chicago and beyond." Most recently, Jim was a Partner and Executive Search Practice Leader at TalentRISE, a recruitment solutions firm in Chicago. 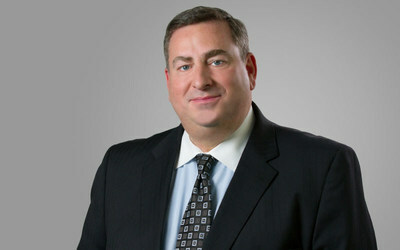 Prior to his search career O'Malley worked for several professional service firms including; Arthur Andersen, Deloitte, Huron Consulting and Lante. Along with the financial services institution, Fifth Third Bank.